Debbie K. Lum’s spirited romantic thriller features two best friends and the troubled young man they both care for. Quinn Corbin has returned from graduate school to her hometown of San Antonio, Texas, where she has a job lined up as an elementary school teacher. Before school starts, she is enjoying spending time with her best friend, Tory, back for the summer before her last year of law school. Quinn is also looking forward to reconnecting with Nick Allen. Although handsome and sensitive, Nick has a bad reputation among Quinn’s and Tory’s set. Among other worrisome incidents, he recently had a car accident that caused his passenger’s death. Many in the community have not forgiven him. Nick also stirs up resentment by opening a coffee shop and bookstore that rivals the one where he, Quinn and Tory formerly worked. Nevertheless, Quinn is smitten with Nick, despite his insistence that he wants to be just friends. When tragedy strikes Quinn and Nick, Tory becomes convinced Nick is being framed. Putting her legal training to use, she investigates who wants Nick out of the way and why. Meanwhile, she grapples with a traumatic past event and a creepy ex-boyfriend who seems unwilling to let her go. I Can Handle Him fits squarely within the “new adult” genre, which features recent graduates figuring out work and love amid dramatic circumstances. Lum’s writing style and eye for character lend the narrative much charm. Tory’s friend Daniel, who has an over-the-top love of tacos; the protagonists’ witty quips to each other (e.g., “Smells like work” when they enter a coffee shop that provokes memories of their former employment); and evocative scene-setting ensure readers a good time. Although it quickly becomes clear which characters are made for each other, multiple plot twists keep readers racing to the satisfying conclusion. 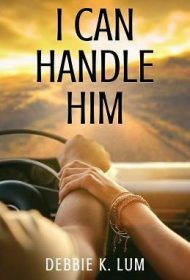 I Can Handle Him is a fresh, enjoyable tale that should have great appeal to new adult fiction and contemporary romance fans.